You probably remember slap bracelets, but your kids might not! 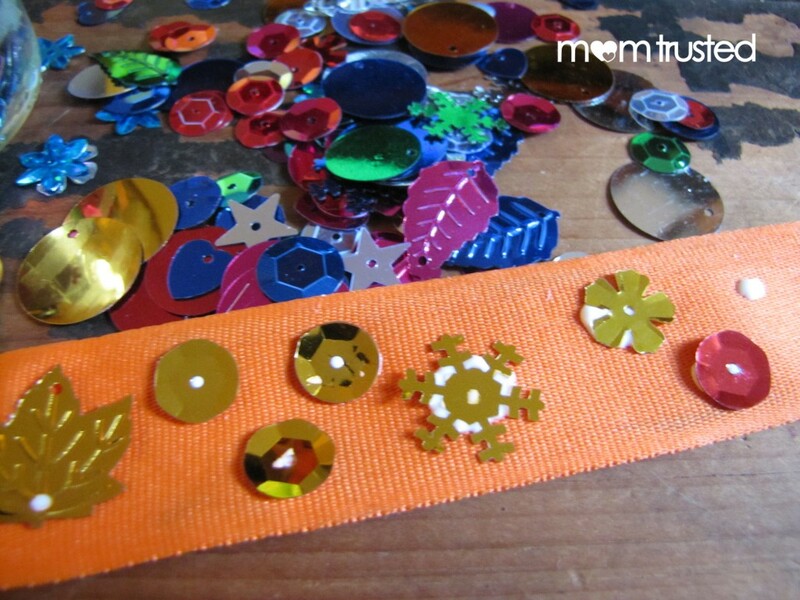 Introduce them to this classic accessory by having a sparkle and shine craft night. I was excited to see these slap bracelets available (for cheap) at a party supply store we order from. Their plain design is like a blank canvas! This activity will really be about putting out a bunch of components, and letting your jewelry designer go to town! 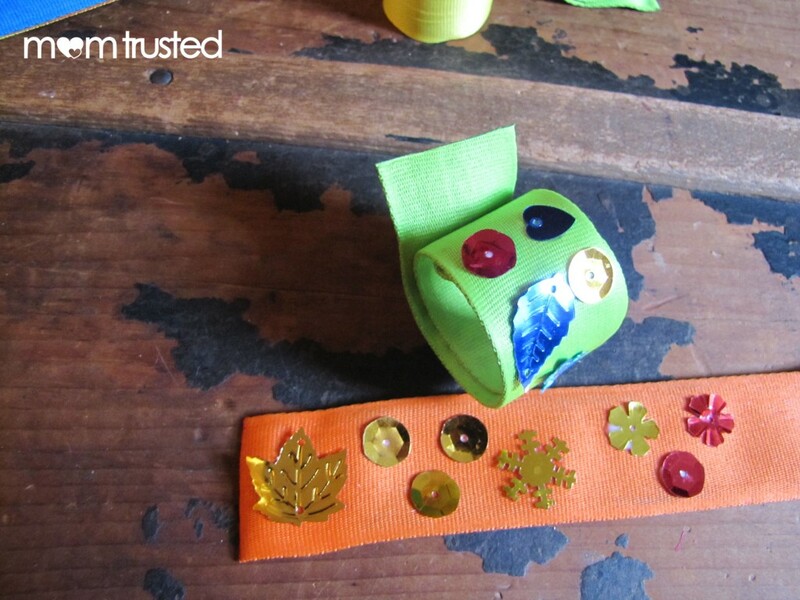 Make sure you’re using fabric covered slap bracelets, so the glue really bonds to it. 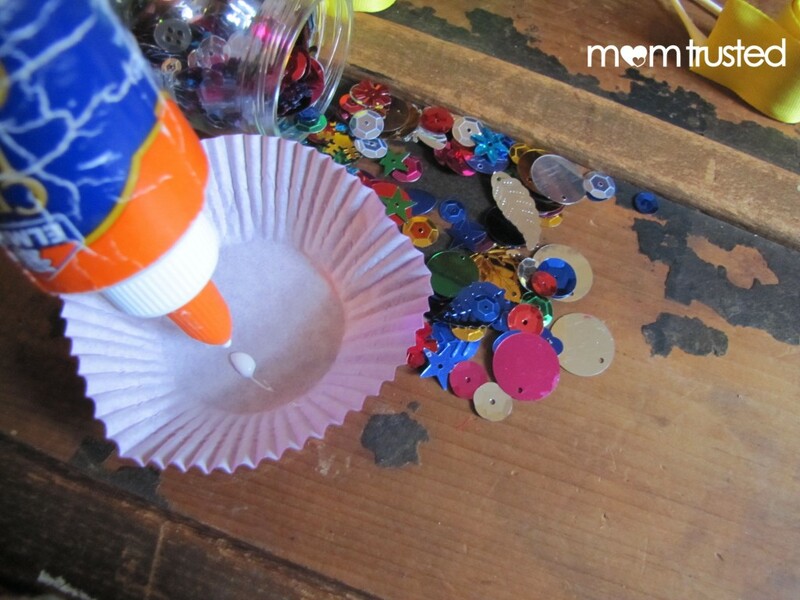 You could also incorporate glitter, jewels, marker, foam stickers, etc. Find a good spot for them to dry, and then proudly display your work! 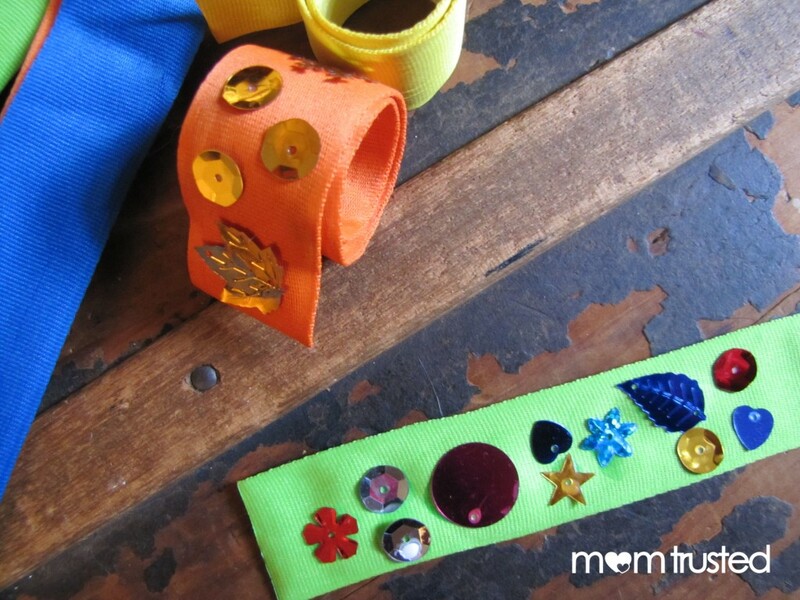 Because the bracelets come in a large pack, this is a great craft for a party or craft night! 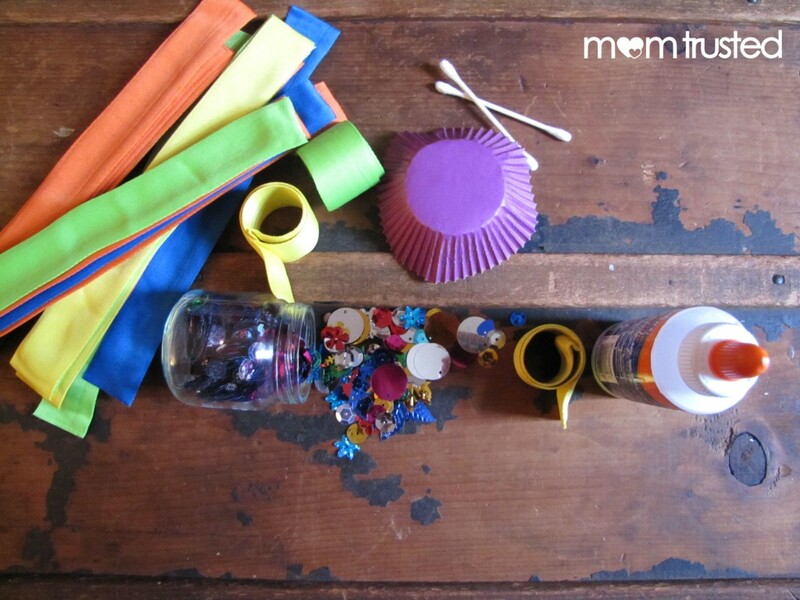 Stay tuned for more kids party ideas! We love getting together with friends for these group crafts!